The Dutch government is seeking "clarification" of reports that a Dutch-Iranian woman has been sentenced to death in Tehran. Sahra Bahrami has been in jail for a year, reportedly after taking part in a protest against the Iranian government. Her daughter reportedly told Radio Netherlands Worldwide (RNW) that she was convicted of drug smuggling. 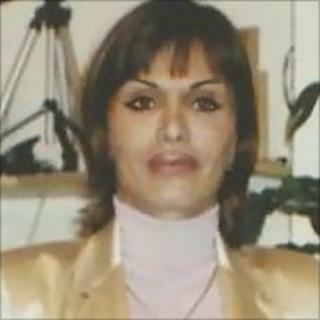 Dutch officials say they have had no access to Ms Bahrami as Tehran does not recognise her dual nationality. "I am extremely concerned about the situation with Sahra Bahrami," Dutch Foreign Minister Uri Rosenthal said in a statement. "We insist on information, the possibility to provide her with consular assistance, and a fair course of justice." Ms Bahrami, 46, was born in Iran but gained Dutch citizenship after moving to the Netherlands. "I am devastated," said her daughter Banafsheh Najebpour, speaking to RNW from Iran. "What has my mother done wrong for heaven's sake?" Ms Najebpour said a Tehran court had delivered the ruling on Sunday but the defence lawyer was not allowed to break the news earlier.